DAUM Commercial Real Estate Services has completed the 10-year lease of 48,000 square feet of a 96,000 square-foot industrial manufacturing property in the Phoenix submarket of Chandler, Arizona, on behalf of the lessee, Advanced Circuits, one of the top-three largest printed circuit board manufacturers in North America. Panattoni Development Company, Inc. (“Panattoni”), Principal Real Estate Investors (“Principal”) and DAUM Commercial Real Estate Services have completed the 10-year lease of a 69,882 square-foot industrial building currently under construction in Orange County, California to a publicly traded commercial and residential roofing distributor. Chris Migliori and Paul Gingrich, both Executive Vice Presidents at DAUM, represented Panattoni and Principal in this transaction. This is the first lease transaction completed for the Orange County Commerce Center, a four-building, 232,354 square-foot Class A industrial development project, which is the only industrial development project under construction in the severely supply-constrained North Orange County submarket, according to Jacob LeBlanc, Partner at Panattoni. The new tenant is a publicly traded commercial and residential roofing distributor, which currently operates in over 500 locations throughout all fifty states in the United States and is further expanding its presence in Orange County with this lease, notes LeBlanc. DAUM was retained as the exclusive listing agent for this project before the development broke ground earlier this year. The other three buildings, ranging from 47,813 to 60,809 square feet, are currently available for lease. The 69,882 square foot building to be occupied will feature a 6,995 square feet of high quality two story executive office, 30’ minimum warehouse clear height, ESFR sprinkler system, 100% site concrete throughout the auto parking and truck court areas, and a 132’ fully secured concrete truck court/yard with exceptional loading capabilities featuring 7 dock high doors and 1 grade level door. The tenant will also benefit from close proximity to five major freeways including Interstate 5, State Routes 91, 57, 55 and 241 Toll Road, and direct access to the Ports of Los Angeles and Long Beach. The property is located at 721 S. Van Buren Street in Placentia, California and is expected to be completed by early 2019. The additional three buildings that comprise the Orange County Commerce Center are located at 711 S. Van Buren Street in Placentia, California and 1365 & 1367 S. Van Buren Street in Anaheim, California. The lease is scheduled to commence immediately upon construction completion in early 2019. The total lease consideration is approximately $8.65 million. Curtis Krusie and John van Rossem with Mohr Partners represented the tenant in this transaction. DAUM Commercial Real Estate Services, on behalf of Panattoni Development Company Inc. and Principal Real Estate Investors, has leased a 69,882 square-foot industrial building currently under construction in Orange County, Calif. A publicly traded commercial and residential roofing distributor will occupy the building for the next decade. 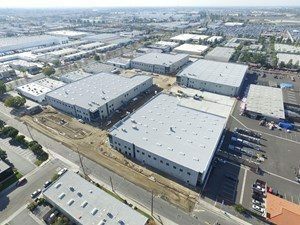 Located at 721 S. Van Buren St. in Placentia, Calif., the industrial facility is part of the 232,354 square-foot Orange County Commerce Center, a four-building Class A property on the border of Placentia and Anaheim, Calif., that broke ground in June 2018. The site is in close proximity to five major freeways and offers direct access to the Ports of Los Angeles and Long Beach. The upcoming building will include 6,995 square feet of office space, 30-foot minimum warehouse clear height, ESFR sprinkler system, concrete throughout the auto parking and truck court areas and a 132-foot fully secured concrete truck court/yard with loading capabilities. The asset is expected to be completed early this year. “Leasing the largest building in this project before construction completion really speaks to the strong tenant demand in the 45,000 to 70,000 square-foot size range in the Orange County industrial market,” said Jacob LeBlanc, partner at Panattoni, in prepared remarks. This is the first lease transaction completed for Orange County Commerce Center. Daum Executive Vice Presidents Chris Migliori and Paul Gingrich represented Panattoni and Principal in the deal. Curtis Krusie and John van Rossem with Mohr Partners acted on behalf of the tenant. The other three buildings, ranging between 47,813 and 60,809 square feet, are currently available for lease. Irvine, Calif.-based Westport Properties has acquired a 2.2-acre land parcel, located at 4800-4830 Valley Blvd. in Los Angeles’ Eastside submarket, for $5.4 million. 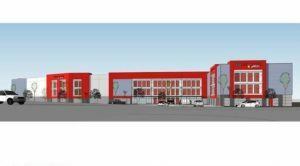 The company plans to develop a three-story, 152,000-square-foot US Storage Centers self-storage facility on the site. Ben Spinner of DAUM Commercial Real Estate Services represented the buyer, while James Vu and Michael Collins, also of DAUM, represented the private seller in the deal. Westport Properties recently completed a self-storage facility at 2500 W. Hellman Ave. in Alhambra, Calif., and is currently underway on a development at 1901 W. El Segundo Blvd. in Compton, Calif.
DAUM Commercial Real Estate Services has directed the acquisition of a 2.2-acre land parcel in the Eastside submarket of Los Angeles, California, on behalf of both the buyer and the seller. The buyer, Irvine, California-based real estate investment company Westport Properties, plans to develop a three-story, approximately 152,000 square-foot self-storage facility on the site, according to Ben Spinner, Associate Vice President at DAUM’s Los Angeles office, who represented the buyer. DAUM Commercial Vice President James Vu and Vice Chairman Michael Collins represented the private seller, who previously operated a metal and plumbing business at the location, in the transaction. According to a recent report, self-storage and moving service revenues in the United States are forecast to grow 2.7 percent yearly through 2022, indicating a growing demand for the product type. Spinner also cites the land parcel’s prime location surrounded by residential neighborhoods, and in a submarket experiencing high levels of upcoming multifamily and commercial development, as strong demand drivers for self-storage. The land parcel was sold for a total purchase price of $5.4 million and is located at 4800-4830 Valley Boulevard in Los Angeles, California. Westport Properties recently completed a self-storage facility development at 2500 W. Hellman Ave, Alhambra, and is currently underway on an additional development at 1901 W. El Segundo Blvd, Compton. Westport Properties has picked up a 2.2-acre land parcel in the Eastside submarket of Los Angeles. Irvine-based Westport plans to develop a three-story, 152k sf self-storage facility on the site, located at 4800-4830 Valley Blvd. Ben Spinner with DAUM Commercial Real Estate Services represented the buyer in the deal. James Vu and Michael Collins, also with DAUM, repped the seller, who previously operated a metal and plumbing business at the location. According to a recent report, self-storage and moving service revenues in the United States are forecast to grow 2.7% yearly through 2022, indicating a growing demand for the product type. Westport Properties recently completed a self-storage facility development at 2500 W. Hellman Ave in Alhambra and is currently underway on an additional development at 1901 W. El Segundo Blvd in Compton. “This was a rare opportunity for the buyer to acquire more than 95,000 square feet of developable land in close proximity Downtown Los Angeles and offering ease-of-access to major freeways,” explains Spinner. According to a recent industry report, self-storage and moving service revenues in the United States are forecast to grow 2.7 percent yearly through 2022, indicating a growing demand for the product type. “After we identified this site as an excellent location for Westport, DAUM participated in several complex negotiations to secure the land amid several competing offers, including from other self-storage developers,” says Spinner. As 2019 begins to take shape, commercial real estate owners and investors are reviewing last year’s prosperity and looking ahead to potential market upsets as they anticipate the upcoming year. At DAUM Commercial Real Estate Services, we observed strength in the Phoenix industrial and office markets throughout 2018 and predict a similar outlook for the year ahead. The market for Phoenix industrial product has remained strong and continues to be driven by the demand for large distribution buildings from e-commerce tenants to be used for warehousing of their inventories. The Phoenix industrial sector has benefitted from the increase of manufacturing and manufacturing jobs nationally, which has bolstered the demand for properties designed for uses other than distribution. Higher taxation and regulation of California businesses has made Arizona a viable alternative to both industrial and office users which has added to the demand for those types of property in Phoenix. In addition, lower taxes, cheaper labor, affordable housing and its proximity to California ports makes the cost of doing business in Phoenix much less than in California. Coupled with the expansion of local business and strong Phoenix job growth, demand for office space has been increasing steadily which is reflected in a decrease in office vacancy rates. An ongoing topic of discussion throughout the year has been if the market will remain strong as we head into 2019. At this point, market fundamentals indicate that the Phoenix real estate market will continue to thrive in the coming year. Last year, demand for new development of industrial and Class A office properties in Phoenix outpaced supply and both sectors saw an increase in annual rents. Within the past five years, the industrial market has absorbed 45 million square feet of industrial space, while new construction has added 32.2 million square feet of new space. We also have seen positive net absorption in the office sector in 19 of the past 20 quarters. Unless the Federal Reserve drastically increases interest rates in 2019, resulting in a significant impact on the economy, or a major trade war emerges, we predict that the Phoenix industrial and office market demand will remain strong and steady. 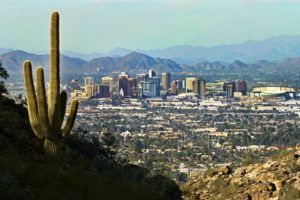 As expected in a healthy economy, interest rates, and the national cost of living have continued to rise, further cementing Phoenix as a land of opportunity for companies to benefit as they are priced out of other major markets. Even with strong fundamentals, investors looking to stay competitive and ensure a resilient investment for years to come should select properties that are functionally designed, can be adapted to a broad base of users, and are in submarkets that benefit from freeway access and proximity to population growth. As the market tightens, the ideal investment properties – primarily those with in-place, long-term leases with creditworthy tenants – will increasingly be acquired off market, requiring that investors are proactive to secure these deals. Overall, Phoenix job creation will remain strong and the region will continue to attract new business, and fuel growth and the absorption of industrial and office properties. That said, those looking to acquire in the area will be faced with high competition amidst this increasing opportunity, and must approach the market strategically. 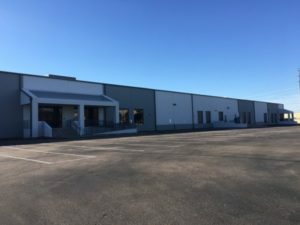 Advanced Circuits, which manufactures printed circuit boards, recently signed a lease for a period of 10 years on a property in Chandler. It will move its operations from Tempe, and should create about 150 jobs when it does. Advanced Circuits worked with DAUM Commercial Real Estate Services on the transaction. The new facility doubles the space Advanced Circuits had in Tempe, going from 24,000 to 48,000 square feet. The property is on West Boston Street, and has a total square footage of 96,000 SF, both for warehousing and distribution. Invanhoé Cambridge owns the building, which was first built in 1978. In 2014, major renovations were made to the structure, giving it a new roof, new paint on the exterior, and new T-5 lighting in the warehouse. In addition, an access ramp was constructed to lead to the offices. There is plenty of space in the warehouse, with columns spaced 40 feet apart, and a clear height of 24 feet. The wide spacing gives plenty of room for trucks to enter and turn. There are also dock levelers and bumpers, 120 parking spots, and climate control systems. The new facility is close to major routes such as Loop 101, Loop 202, and I-10, all of which are within 10 minutes of the property. When organization make changes such as this, they can work with stationery printers to create new letterheads with up-to-date information. DAUM Commercial Real Estate Services has assisted in the completion of three land transactions encompassing a total volume of $20 million and 47 acres in the Deer Valley submarket of Phoenix, Arizona. DAUM Executive Vice President and Phoenix office Co-Branch Manager Kirk Jenkins directed the acquisition of a 28.8-acre developable land parcel on behalf of Jeff Garrett and R.T. Starr of Garrett Development Corporation. Jim Keeley of Colliers International represented the seller, JVK-VL LLC, in the transaction. Jenkins, Keeley, and Bob Lundstedt, First Vice President at DAUM, simultaneously negotiated the sales of two portions of the same land parcel to two separate buyers. Both sales closed on the same day as the acquisition in a complex triple-escrow transaction, according to Lundstedt. In the first sale, Lundstedt and Keeley represented Garrett as the seller in the disposition of 1.38 acres of the newly acquired 28.8-acre parcel to the buyer, Cobblestone Carwash, who was represented by Chris Stamets and Brian Gausden of Western Realty Advisors. The second sale involved Lundstedt and Keeley representing both Garrett as the seller and the buyer, ELUX Deer Valley LP (Snowdon Residential-Harvard joint venture) in the sale of 17.15 acres of the 28.8-acre parcel for future multifamily development, which is planned to include 212 Casita Style units and a Club House, notes Lundstedt. Jenkins notes that this highly complex transaction would not have been possible without cooperation of all parties, including the seller of the 28.8 acres, who allowed for a long escrow to facilitate the negotiations. According to Lundstedt, DAUM has sold six land sites in Deer Valley within the last 12 months, totaling $33 million and currently controls 75 percent of the deliverable land parcels in the Deer Valley market. This was Lundstedt’s 144th land transaction in the I-17/Deer Valley market since 1997. 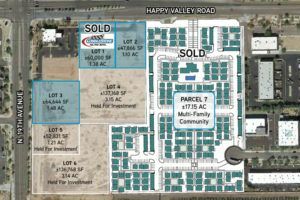 The land parcel involved in the three transactions is located on the Southeast corner of the intersection of Happy Valley Road and 19th Avenue in Phoenix, Arizona.